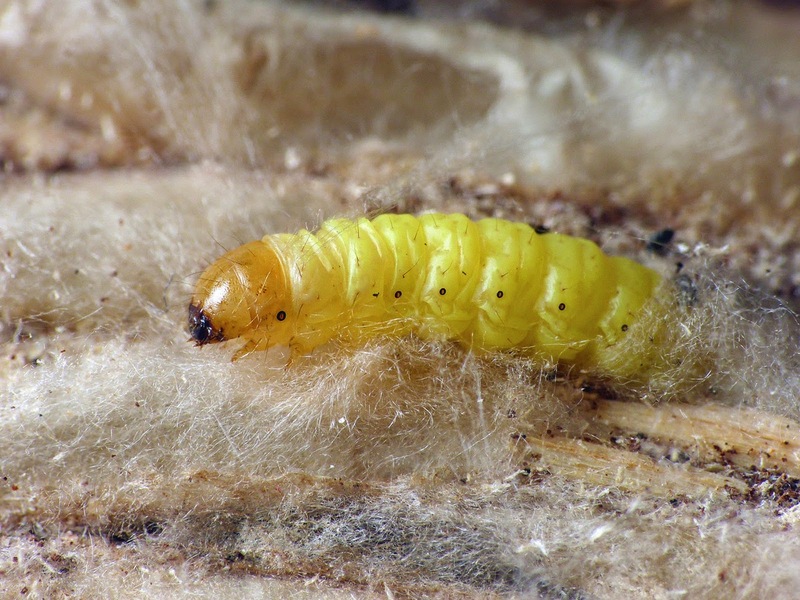 Another moth species I often encounter at this time of year in my wood store is the Bee Moth with the larvae forming cocoons en masse in narrow spaces between the logs. The cocoons are incredibly tough, effectively binding logs together which are then very difficult to separate. (Obviously I don't burn the effected logs as the cocoons contain the overwintering larvae). Inserting a pin through the wall of the cocoon, I 'encouraged' a larvae to show itself for a photograph. I have sometimes encountered the cocoons of Bee Moth in nest boxes. 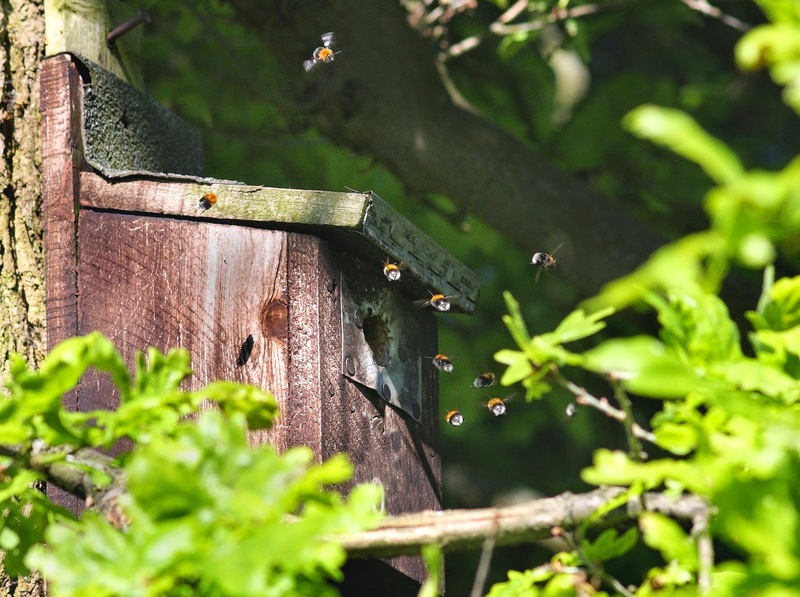 In 2014 Tree Bumblebees used a nest box in the garden although they did not appear to be present for more than a few weeks. When I checked the box in autumn I struggled to open it due to Bee Moth cocoons in the top of the box. I can't say for certain that the Bee Moth larvae developed in the Tree Bumblebee's nest but it seems likely.